This exciting and new collaborative big t-shirt from Emily The Strange x Listen Flavor will give you a blast of nostalgia from the Myspace era! 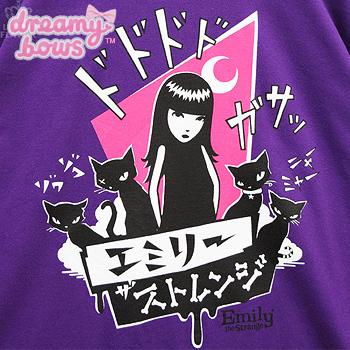 The t-shirt is long and roomy making it very comfortable to wear with a fantastic illustration featuring Emily on the front with her four cats, the Japanese text reads 'Emily The Strange' with smaller Japanese onomatopoeia text accompanying the image. 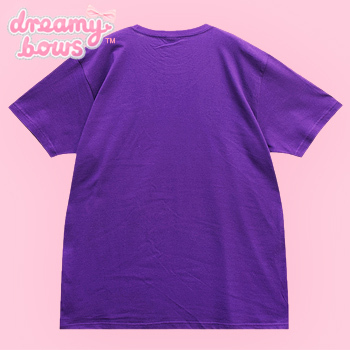 It can be co-ordinated with creepy cute styles but would also be perfect for alternative styles.